Log in to search for internships, research opportunities, funding, and connections in the Brown Community. Login to search for connections in the Brown Community. Support Brown students by posting internships, research opportunities, and funding. BrownConnect links students, alumni, parents and friends to extend learning beyond the classroom and promote mentoring and professional growth long past graduation. Tapping into the vast reservoir of career knowledge in the alumni community, BrownConnect fosters strong student-alumni and alumni-to-alumni relationships, advancing the University’s vision to facilitate mentoring and serve as a lifelong career development partner. 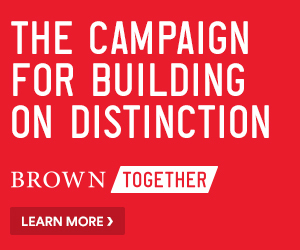 Undergraduates benefit from BrownConnect’s success in bringing them together with alumni, parents, and friends of Brown, opening doors to valuable internship and research opportunities. Alumni-to-alumni networking provides a platform to make lasting professional connections. Check out summer stories on #BrownConnect.